Unlike our reviews from fairaudio.de in Germany and highfidelity.pl in Poland which are shared via translation, John Darko's Australian website is in English already to not warrant any syndication. The following review thus appears exclusively on 6moons. For those curious about John's latest writings on digitalaudioreview.net.au, the above banner links directly to it. - Ed. October 2011, Colorado. 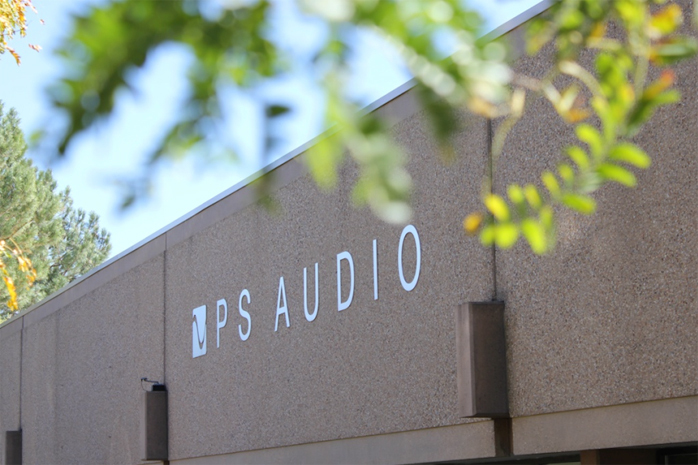 A flying visit to PS Audio HQ nestled at the foot of the Rocky Mountains is Boulder/CO. The mountainous backdrop's sheer scale and persistence must surely keep local egos in check. I can't imagine anyone losing perspective here. The relative insignificance of human life is the mountains' enduring message. This is the physical and spiritual context against which PS Audio products are developed and manufactured. 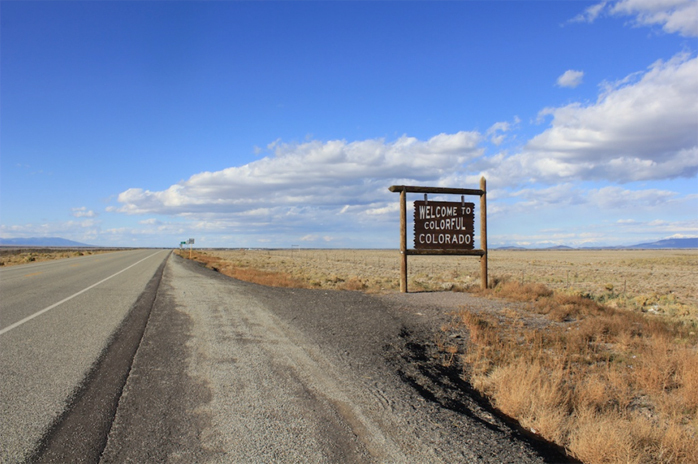 Having spent seven days driving solo through Texas, New Mexico and into destination state Colorado, I'm on my way to RMAF 2011. It's a road trip that keeps the hifi tango in perspective. Life is far bigger than any amplifier, DAC or loudspeaker. Audio equipment is but one facet of life and not as important as music itself. A week's traveling on iPod fuel with that kind of scenery is worth more than a year at home with the world's best-sounding rig. Although this perspective has been freshly squeezed into my consciousness, I suspect Paul McGowan—the 'P' in PS Audio—has known this for many years. Not that McGowan creaks like a wizened old soul. Some people just sound 'young' and Paul McGowan is one such fella. 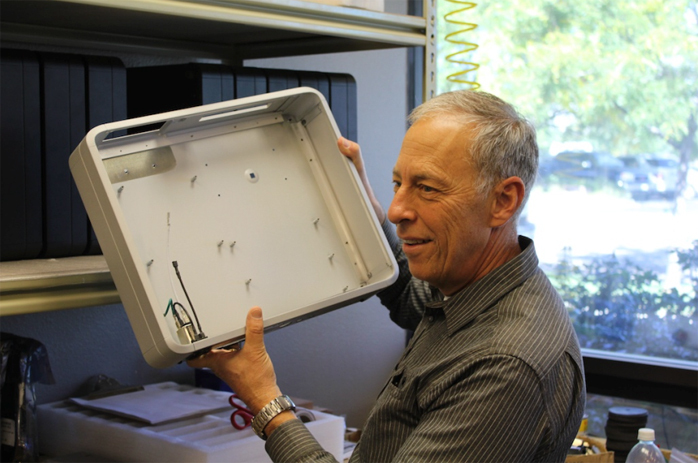 His tour of the PS Audio factory is neither overzealous nor sales pitch nor a drive to impress. It's a tour of quiet confidence. McGowan is rightly proud of his company, possibly even more so now that production has been brought home to the US of A. All PS Audio products are now made in Boulder. I'm simply here to soak it up. 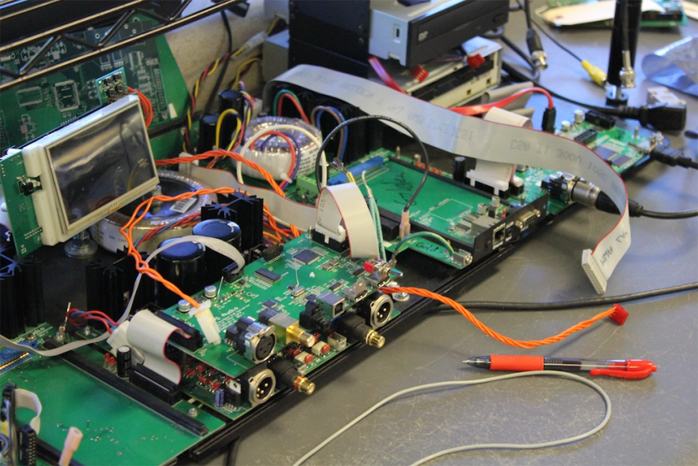 Not just the story of the Network Bridge or the PerfectWave DAC but the PerfectWave Transport, Power Plant, some older discontinued Class D amplifiers and some top-secret projects currently in prototype stage. It's a place of business, make no mistake, but also relaxed. Business casual. November 2009 thru November 2011, Sydney. Darko and DACs, the story so far. For the past 24 months I've been working my way up from well below the $1000 DAC boundary to nudge the $3K barricade with PS Audio's PerfectWave DAC. The PWD is a luxurious beast for someone who has cut his digital audio teeth on (predominantly) budget boxes. One lesson learnt from 12 months at the shallow end? One must choose the compromise that's easiest to live with. The TeraDak Chameleon is very soft on the ear and great for long-term listening but also restrained with dynamics and lacking ultimate resolution. There are several DACs at ~AU$500 that run in the opposite direction - great with detail, not so great with tone, timbre or timing. They sound thin and hold my feet flat to the floor. The poorest-sounding DACs add tension and sterility. They hold the listener at arm’s length with narrow soundstaging even when they are reasonably competent with inner-detail retrieval. Rising through the $1-2K range it seems that some of these shortcomings lose their teeth. Some evaporate altogether. You'd certainly hope that to be the case. There's a vitamin and mineral shortfall with the fast(er) food DAC diet. We hear the music yet feel under-nourished. This journeyed belief eventually causes one to push toward a healthier way of living/listening. 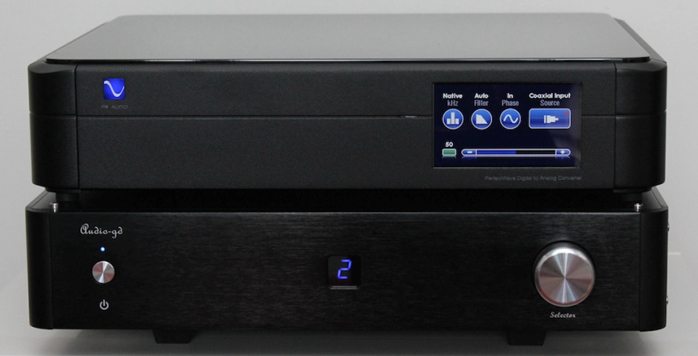 This reviewer's DAC quality initially peaked with the Audio-gd Reference 7.1 (US$1850). Its smoky dark-chocolate flavours were far more conducive to long-game listening and it was no slouch with musical insight. Alas due the dwindling supply of PCM1704 chips, Audio-gd's King Wa took the Reference 7.1 out of (regular) production, leaving users to consider the equally formidable and slightly less expensive Lite DAC-83 (also a PCM1704-centric design). Some thoughts on Sabre rattling. Many decoders using ESS silicon work exceptional magic with magnifying the smallest details and generating arresting enthusiasm. They drill deep into songs. The Eastern Electric Minimax, Anedio D1 and Peachtree iDecco are excellent performers in their ~$1000 price region yet none have the fluency of the Lite or the Audio-gd save for the pricier Lenehan Audio PDX. Broadly speaking, Sabre’d boxes are more caffeinated and upright in their grandeur but not forward leaning. Think ‘music’ versus ‘music’. Some forum dwellers have also complained of the Sabre sound lacking heft and suffering a diminished vocal body. At the extremity of the Sabre flavour there's to transients an airing-cupboard dryness. Despite being overplayed, such criticisms are not without foundation. The audible extent of such foibles largely depends on implementation and system matching. Personally I've always preferred Sabre DACs when sat behind tubes. I speed-date this context into your lap as an easily digestible background to my PS Audio PerfectWave DAC + Network Bridge coverage. 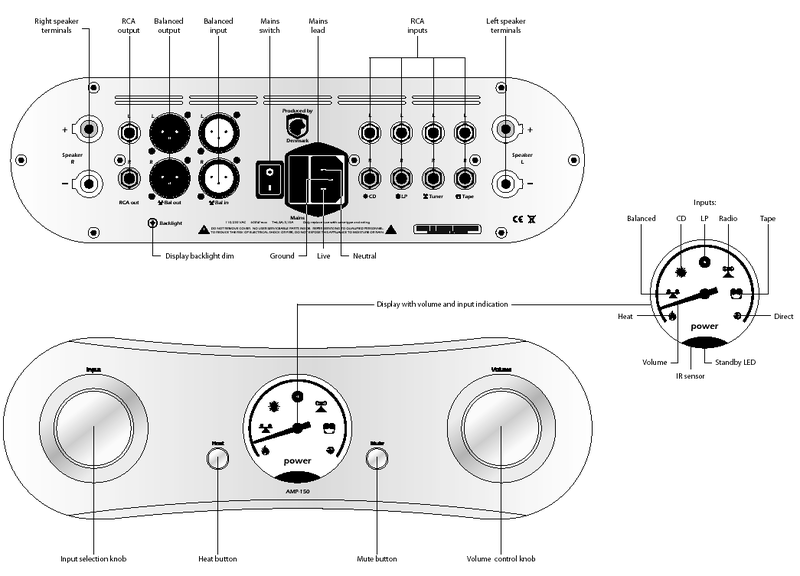 Go read Marja and Henk’s review for the technical skinny on the innards of this beast. I won't be replicating it here. However, supplementing their commentary on the PerfectWave Transport + PerfectWave DAC pairing I thought it appropriate to lay words on how the PerfectWave DAC stacks up as solo ranch hand—with MacMini horse and Audiophilleo saddle—before crossing the Network Bridge into streaming media territory.